Make a cute little basket! Perfect for your keys, pocket change or other small items. You can also make it larger and use it as a bowl, a cover for your plants etc. The ways to use it are endless! Crochet hook – Size D or whatever hook you´ll need to get a stiff basket, that means a smaller hook than you´d normally use. Here you can watch my videos on how to crochet the different stitches. Here you can watch my video on how to crochet a magic ring. 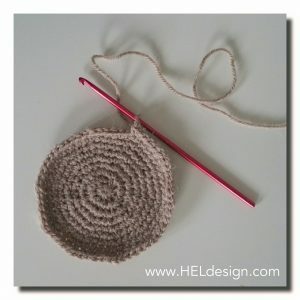 The basket is crocheted in rounds, that means that you do not join after each round, you continue to crochet in the next stitch on the next round. 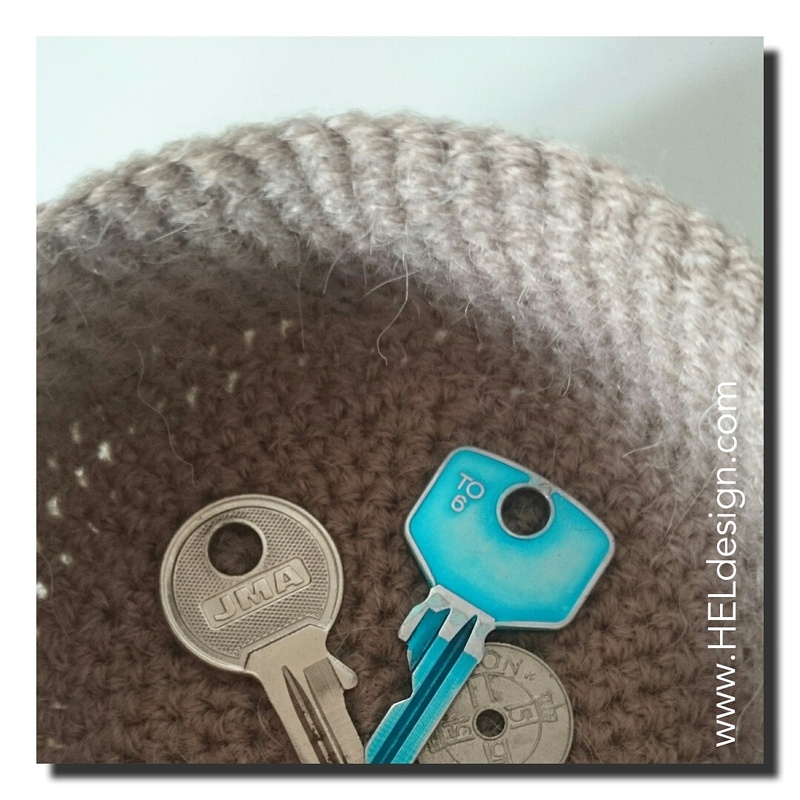 It might be a good idea to use some yarn or a stitch marker to show where each round ends. Increase: 2 sc in same stitch. Decrease: 2 sc together: Insert hook into stitch, yarn over hook, pull yarn through one loop, insert hook into next stitch, yarn over hook, pull yarn through one loop, yarn over hook, pull yarn through all three loops on hook. Rnd 1: Make 10 sc in a magic ring, don´t fasten with sl st in the first st. Tip: don´t tighten the ring until you´re done with the second rnd. Rnd 19: sl st in next st, ch 1, 1 sc in the same st as sl st. 1 sc in each of the remaining sts all the way around, join with sl st in the first st.
Cut the yarn and weave in the ends! Tip! If you want a bigger basket you just continue to increase after rnd 10 until you get the size that you want. The same goes for the height, if you want the basket to be lower you crochet less than 19 rounds and if you want it to be taller you crochet more than 19 rounds. 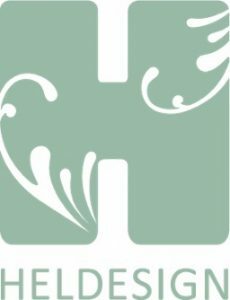 If you need any help just leave me a comment in the comment box below or e-mail me at: hege@heldesign.com.